The low volume threshold has been significantly increased to reduce the burden on small practices. Both parts of the threshold must be crossed for a clinician to be included in MIPS. That is, the eligible clinicians must bill more than $90,000 in Medicare Part B allowed charges AND provide care to more than 200 Medicare Part B beneficiaries. If an eligible clinician doesn’t meet both the criteria, s/he is exempt from MIPS. The Merit-based Incentive Payment System (MIPS) is part of the Centers for Medicare & Medicaid Services (CMS) Quality Payment Program (QPP) and is the next evolution of three quality programs: Meaningful Use of electronic health records (EHR), the Physician Quality Reporting System (PQRS), and the Value-based Payment Modifier (VM). The Quality Payment Program reforms Medicare by receiving and validating physician-submitted data, providing performance feedback, determining MIPS scores, and adjusting payments. DC who are currently billing charges less than or equal to $30,000 for their Medicare Part B program "AND" who are offering care to 100 patients or less in a year. Note: Only count Medicare Part B payments and patients. Do not count Medicare Advantage patients. They might be added in some way in later years but not in 2017. Clinicians who are participating in the Advanced APM. What is the timeline to submit MIPS data? The performance period started on January 1, 2017 and closes December 31, 2017. To potentially earn a positive payment adjustment under MIPS, the CMS must receive data before March 31, 2018. 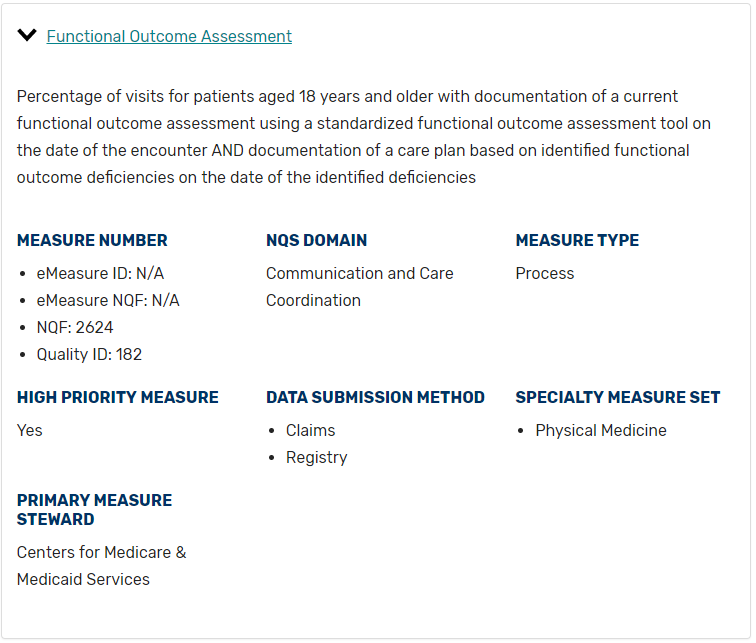 Must include 1 Cross-cutting and 1 outcome measure, or another high priority measure if outcome is unavailable. Below are two examples that most commonly will apply for Chiropractors. Note that both correspond to the PQRS codes and if you are already submitting them through Claims, continue to do so and you are well on your way for the MIPS Quality component. Since you can choose only one way of submitting one criteria, pick additional quality measures that can also be submitted via claims. Makes up 25% of the composite score. Formerly known as Meaninful Use. Out of the two measure set options, choose criteria from "2017 Advancing Care Information Transition Objectives and Measures" as Chiropad is certified to the 2014 Edition. Makes up 15% of the composite score. 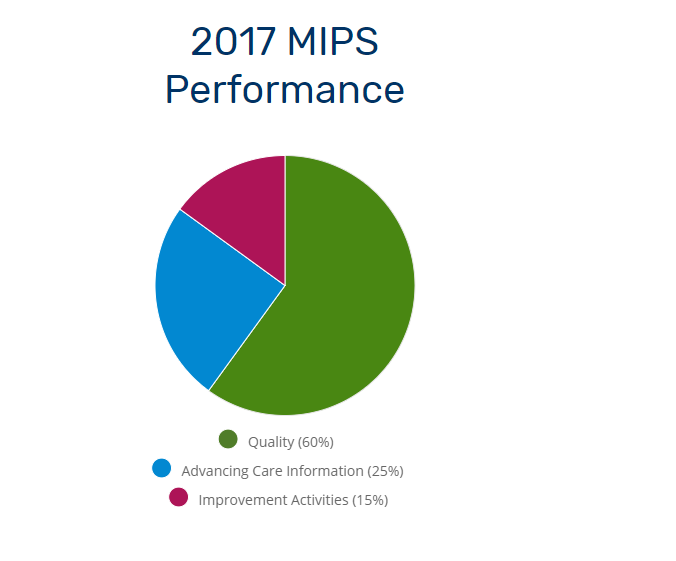 MIPS would reward clinical practice improvement activities such as Care Coordination, beneficiary engagement and patient safety. There is a list of more than 90 option. One of the options is back care class. If the DC's do spinal care class in their facility already, they would be awarded points under this category. Other options such as weight management classes or weight loss clinics are considered clinical improvement activities. Having a patient portal, having after hour appointments, appointments for emergency care, same day emergency care etc. all qualify under this category. Just find the measure and attest to it in your registry. How to report MIPS data? 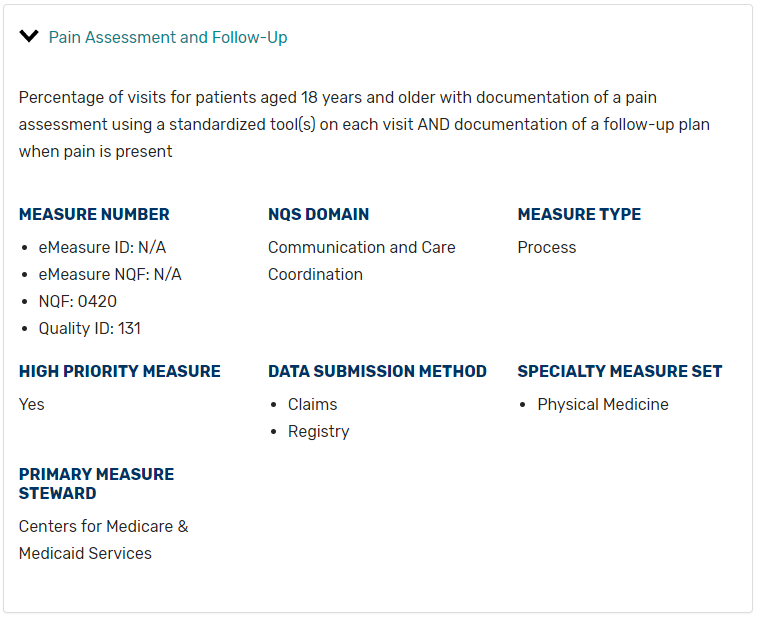 There are a few options to submit your MIPS data. Each criteria must be submitted via one option only. E.g. You cannot submit 2 Quality measures via claims and the rest via Registry. All have to be either via Claims or Registry. You can choose different option for different criteria. E.g. You can choose to report Quality measures via claims, but Advancing Care and Improvement Activities via Registry. For Advancing Care and Improvement Activies categories DC's will have to report through some type of registry. ChiroPad, at this time, is not integrated with any Registry to report them directly. Should you report as Individual or with a Group? Must report 15 Quality measures for a full year. Finding 15 Quality Chiropractic measures might be difficult. Check the QPP site https://qpp.cms.gov/resources/education for a wealth of information about the program, video library etc.